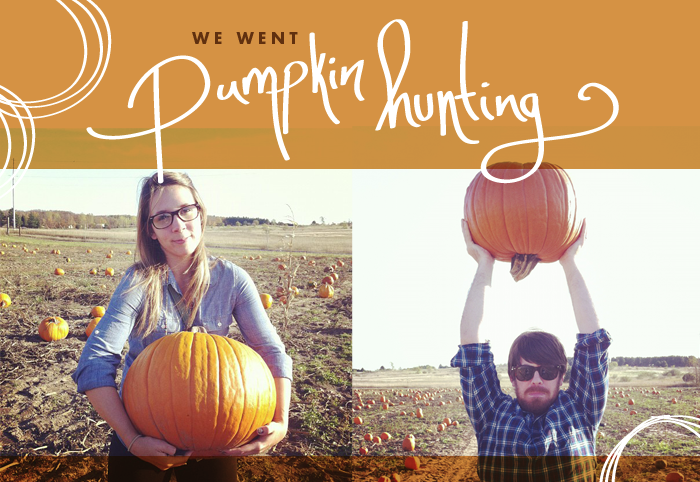 That’s right we went hunting for a pumpkin in a field and whenever this happens it is always the pumpkin in the very back that ends up being the right one. Sure enough we found our 40 pounder right there waiting for us with the perfect texture and shape. Even the lady at the counter said it may have been the best one she had seen yet. I felt like we found a winner. It was one gorgeous day on Saturday and I had a very good feeling not many of these would be left and especially wouldn’t be once when we get back from the Lone Star State at the end of November so we made the most of it by going to a local Indie Craft Show, Pumpkin Shopping, and then dinner with friends. We ate warm pumpkin donuts and had pumpkin beers. You cannot say no that right?! This week we are getting our plans set for our 3-4 day road trip to Texas. We cannot wait for all the adventure and scenery we plan to see. It is always exciting to have a change of view and pace in life. I like changing things up once a while and this is the first time we are doing a long road trip together. I am really excited to share our journey and adventures with you all as. I am planning lots of pictures, maps, doodles, and hopefully some fun stories. So be ready! Have any of you done a road trip? Do you have a road trip you want to do?